Model predictions of winds and water levels during Hurricane Arthur (2014). Find a link to the current forecasts here. Find out more about the work of the Coastal and Computational Hydraulics Team which Dietrich leads here. 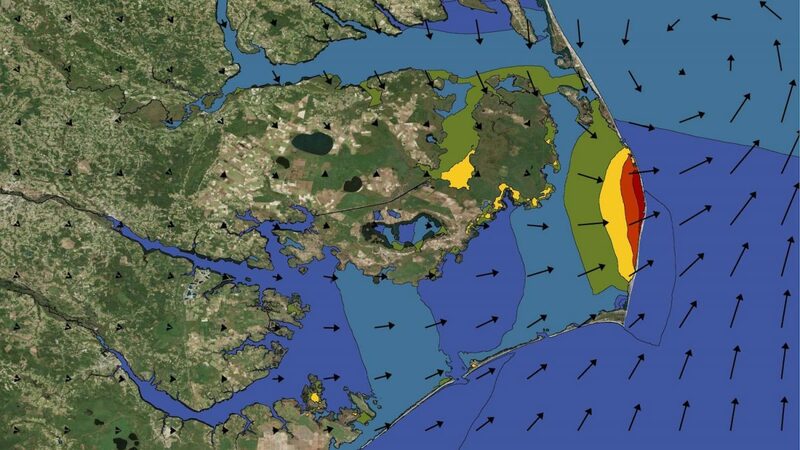 Over the past several days as Hurricane Florence approached, they deployed wave gauges along the Carolina coast to collect data about how the waves and storm surge are attenuated across the barrier islands. You can see video and photos of their current work related to Hurricane Florence.